Hi everyone! This is GiGi from The Cricut Bug and I have a fun treat to share. I used several JB products on this project. I started this project with the Goody Bag Die. 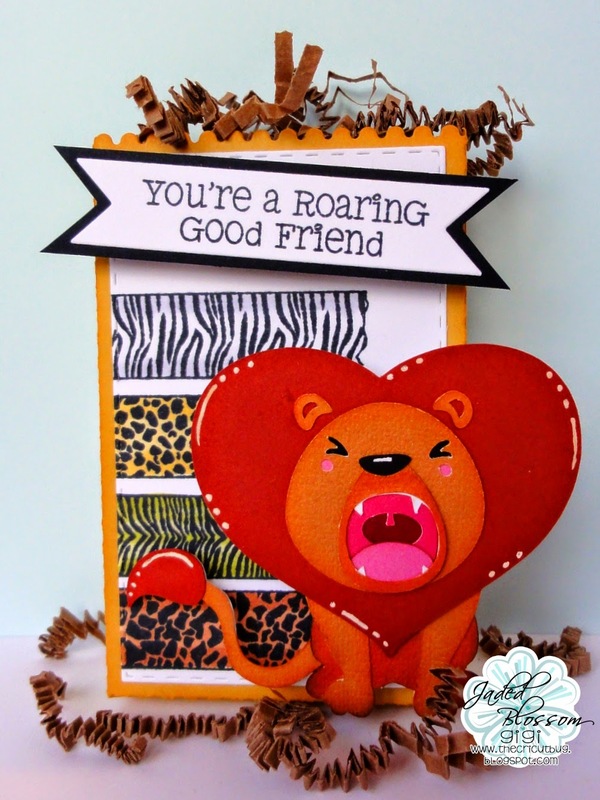 I cut it out along with the inside mat and stamped the Animal Print Designer Tapes. I stamped them onto the background and I colored them with Copic Markers. I cut the lion from the SVG Cutting Files Heart Mane Lion file and added him to the front on pop dots. 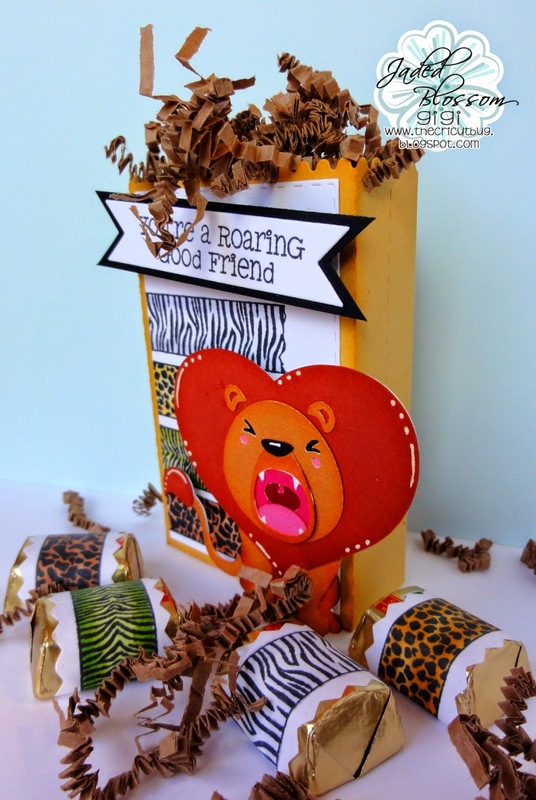 To finish, I cut wrappers for the candies using the Candy Wrap Dies and stamped them with the Animal Print Designer Tapes. Just wanted to say again just how cute this is! What a super cute project! The animal print designer tapes are so fun~The lion is adorable! You always come up with such fun projects!